Resettlement programs say a dearth of rental units in Waterloo region is making it almost impossible to find permanent housing for refugees. "It's an actual nightmare trying to help people find places to move to in our region," said Sharon Schmidt, program director of refugee services at Ray of Hope. The organization runs Welcome Home Refugee House, a place where refugee claimants can stay for the short-term. Schmidt said the average length of stay is supposed to be six months, but refugees are staying longer because they can't find permanent housing. One woman — who we've agreed to refer to by her first name only, as she is still in the process of claiming refugee status — stayed at the home for 10 months this year. "I looked at many, many apartments," Matilde said. "Many landlords tell me, 'OK, I will call.' But they don't call me." 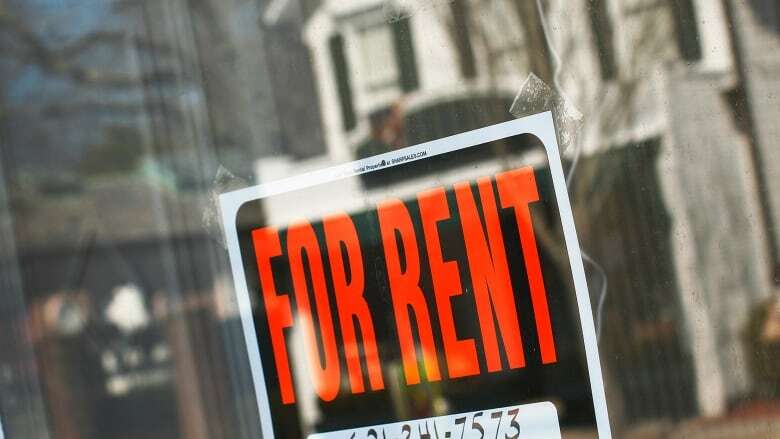 She said the landlords would ask her for her rental history, credit history and proof of employment — none of which she had at the time, being new to Canada and the region. Schmidt said the family visited more than 100 apartments before they were finally accepted by a landlord in November. "It was the most frustrating job some of my staff have ever had, to go to 100 apartments with this wonderful family and be turned down over and over and over again," Schmidt said. At each viewing, she said there were at least 12 other people vying for the vacancy. At one place, she said 60 people showed up. "There's just no supply," Schmidt said. "So there's tons of competition. It's almost like a landlord's market, where they can set the price whatever they want and they can pick and choose from a great variety of options of people." And more and more, she said, landlords are not choosing refugees. The region's Immigration Partnership has been trying to change that by handing out Newcomer Landlord Awards — a recognition for landlords who rent to new Canadians — and then using the award recipients and ambassadors. The partnership's executive director Tara Bedard also said the Region of Waterloo is trying to address the lack of affordable housing in the region and there has been the creation of a number of new units over the past year. But she says the new builds aren't keeping pace with the growing demand, and developers are still more likely to build a condo tower than something suited to a refugee. "I think if we look at a lot of the condo buildings going up along the corridor, it's a lot of one bedroom units, bachelor units, maybe two bedrooms, that don't work for larger families," she said. She says the region needs to shift the way it develops housing so that what's being built addresses the changing demographic. Schmidt agrees and says an emphasis on more low to mid-cost rental units would benefit more than refugees. "I think there's a great opportunity for us to be a region that not only welcomes refugees and immigrants, but also everybody in this community," she said. "Not just those higher level employees, that we're building for right now."